Home Breaking News	Venezuela Falling Behind on Debt Payments: Is This the End for Maduro? Venezuela Falling Behind on Debt Payments: Is This the End for Maduro? Venezuela’s government-run oil company, PDVSA, is falling behind on its debt payments. On Friday it will have to pay its creditors $985 million, and less than a week later it will owe another $1.2 billion. 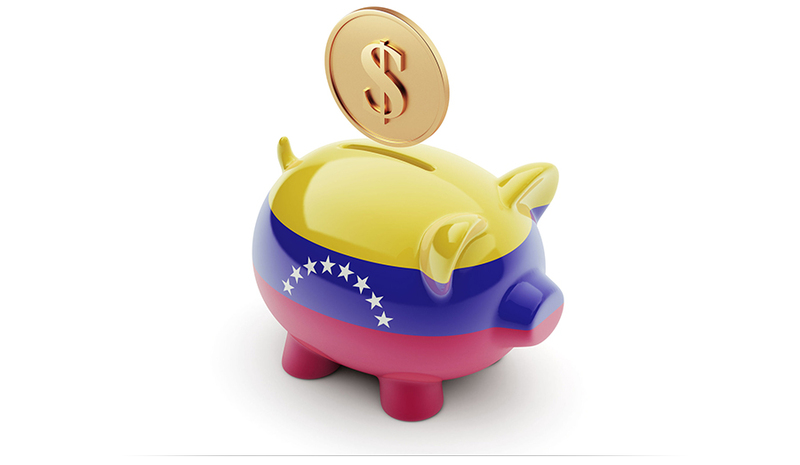 Despite the hyperinflationary crisis that has been ongoing for months, Venezuela has resisted defaulting on its debt obligations, as that is one of the only ways the government has been able to raise money. But with the government’s reserves falling and more debts due in the coming weeks, the prospect of a default is becoming increasingly likely. Will that signal the ultimate downfall of the Maduro regime? Venezuela under Presidents Chavez and Maduro has seen a significant decline in its economy as the government has engaged in runaway spending and attempted to pay for it by printing money, leading to successive devaluations of its monetary unit. Inflation of the Venezuelan bolivar in recent years led to skyrocketing prices, and government price control edicts to counteract those predictable consequences has led to shortages of food, medicine, and basic consumer goods. The economy is in a shambles, citizens are starving, and there are widespread reports of soldiers raiding civilians in order to feed themselves. The country is now reliant on oil for nearly the entirety of its foreign exchange and foreign trade. Aside from oil, financing from foreign investors has been one of the only things propping up the Maduro regime, with Goldman Sachs at one point having been the world’s largest holders of PDVSA bonds and the seventh-largest holder of Venezuelan sovereign debt. The Venezuelan government also just allowed a gold swap agreement with Deutsche Bank to lapse, resulting in Deutsche gaining gold while the Venezuelan government will receive an additional $500 million in cash. That won’t be enough to pay off all the debt that Venezuela owes, however, which is why markets are becoming increasingly worried that Venezuela may default on future bond payments. Tighter sanctions from the United States will also continue to cut off funding for the Maduro regime, further increasing the chances of default. The big question is whether a default will mean the end of the Maduro regime. The longest hyperinflationary crisis in modern history was Yugoslavia’s in the 1990s, which lasted two years. Once Venezuela entered hyperinflation it was all but certain that Maduro’s days were numbered. If Venezuela ends up defaulting on its debt, will that hasten his demise, or will he continue to cling to power as long as he is able?